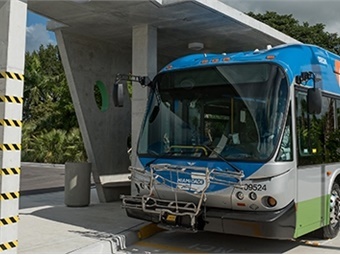 MIAMI — To get free Wi-Fi on public transit, the county commission might waive a rule that prohibits alcohol advertisements at bus stops and on trains, reported the Miami New Times. The deal is part of the county's negotiation with Massachusetts-based company, CIVIQ Smartscapes, which would provide free Wi-Fi and kiosks to the county at no expense to taxpayers if the county agrees to allow promotional space for beer, wine, and liquor, the report said. If approved, the contract would open the door for corporations to splash their ads on buses, Metromover and Metrorail cars, and bus benches and shelters, as well as at Miami International Airport and PortMiami, Miami New Times reported.